Wedding vendors are well aware of these uncertain economic times and I understand, especially since I'm currently a Groom-to-be, that most couples are working on tight budgets. If you are looking for an affordable venue with an amazing view, you should definitely consider the Chart House in Dana Point. 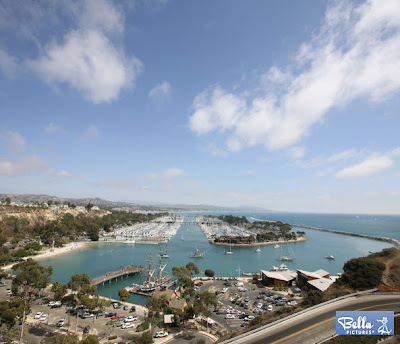 You'll have one of the most spectacular views of the Pacific Ocean and the Dana Point Harbor, along with excellent food and exceptional service. The Chart House is a popular restaurant by night, so the catch is...your wedding has to be during the day. 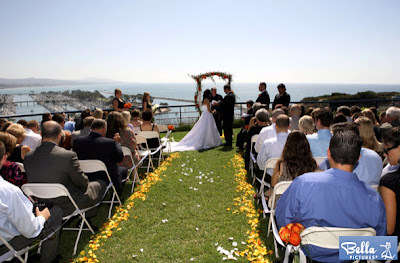 If you don't mind an afternoon wedding, and with this view how could you not, then this is an easy decision for you!